Roger McGough is truly a national treasure and this collection of disparate poems is beautifully crafted. 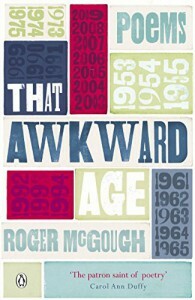 Young to old, good to know there is always the capacity for awkwardness. McGough helps us to see the funny side of the roller-coaster that is the human condition.